Here's Mike, the man, and E.T. 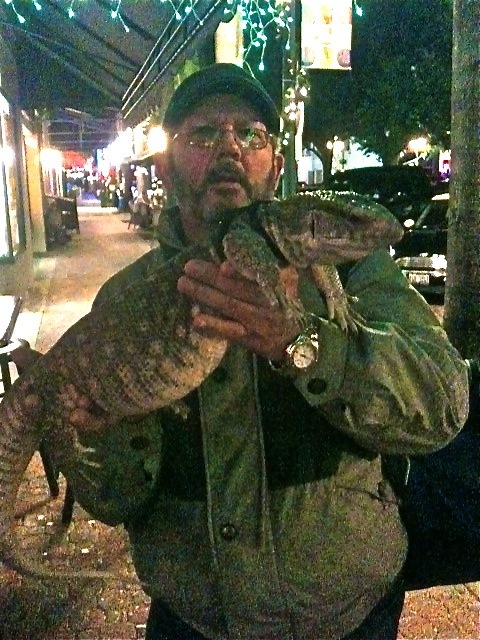 Dragon, the savannah monitor lizard, hanging around outside Mickey Byrne's Pub last night on Hollywood Boulevard. Mike says he has a houseful of lizards. He lets them have the run of the place. How do you sleep at night, Mike?